Change4Life, the Government's healthy living campaign, is to endorse Asda fish, Quorn, Uncle Ben's rice, Cravendale milk and Co-operative fruit as alternatives to pizza and fizzy drinks, in a special ad break on ITV tonight. The ad break (shown in full above) will open with a Change4Life ad featuring the familiar stop-motion characters eating pizza and fizzy drinks on their sofa. This ad, which will run until 3 Feb and was created by M&C Saatchi, is intended to ram home the message that pizza and fizzy drinks are unhealthy and can lead to diseases such as cancer. Tonight only Change4Life will endorse ads in the break during ITV1's 'Coronation Street', for brands including Quorn, Uncle Ben's and Cravendale. The ads will be flagged up by the "be food smart" thumbs-up logo in the top left corner. The soap normally reaches an audience of around eight million viewers. 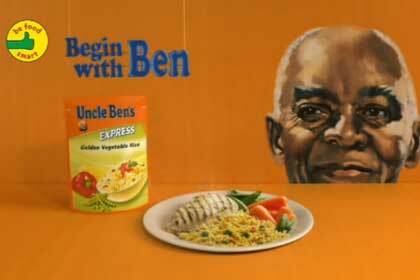 Uncle Ben's TV activity will incorporate the "be food smart" logo. The beneficiary advertisers were co-ordinated by marketing agency 23red. According to a Department of Health spokeswoman, Change4Life’s budget was used to pay only for the airtime of its own ad and each brand that took part had to fund its own airtime. The spokeswoman also claimed that all Change4Life partners were given the option to take part in the ad break and every partner that wanted and was able to take part did so. The DoH’s spend on the overall ‘Be Food Smart’ campaign is £2.2m, according to the spokeswoman, who contrasted the figure with the £5bn annual cost of obesity to the NHS. Aside from the TV ad the campaign includes a free aid to choosing healthy food options in the shape of a ‘Food Smart Meal Mixer’ available in both physical and digital form.